Knight's textbook surveys the philosophies and philosophic issues relevant to Christian education. 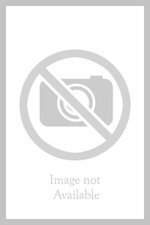 Teachers, students of education, and other readers will find this book a "helpful guide for analyzing educational purposes and practices in the light of their basic beliefs." 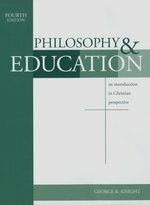 Besides investigating the relationship between philosophy and education and discussing how philosophies have affected contemporary practices in the classroom, Knight offers a Christian approach to philosophy and relates such an approach to educational practices. Philosophy and Education is divided into three sections. Part I deals with basic concepts in philosophy and the relationship between philosophy and education. Part II is a survey of how traditional and modern philosophies have faced the basic philosophic questions and what that has meant for educational practice. Part III discusses the necessity of developing a personal philosophy of education, one possible approach to a Christian philosophy, and some of the ramifications of such a philosophy for educational practice in Christian schools. Churches use a variety of small groups to reach people for Christ and nurture them in their ***. This manual explains how to start and operate various kinds of small groups. 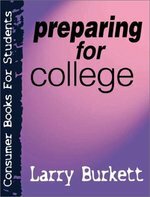 From writing a mission statement to paying tuition, Preparing For College helps teenagers tackle the myriad of details that come with one of life's most important steps. has crafted an offensive strategy, stealth tactics, sophisticated reconnaissance and subtle propaganda. You only have to turn on your TV, talk to your teen's friends, go to the movies or listen to the radio to catch a glimpse of his destructive campaign. Ron Luce is sounding the battle cry, calling parents and Christian leaders to wake up to the war against America's teens. Are you willing to reject "quiet Christianity" and make a world-shaking difference by dreaming new dreams to ReCreate our culture? Now is the time to use your God-given creativity and claim this generation for Christ, because a generation that the world cannot change is a generation that can change the world! Has the American university gained the whole world but lost its soul? In terms of money, prestige, power, and freedom, American universities appear to have gained the academic world. But at what cost? We live in the age of the fragmented multiversity that has no unifying soul or mission. 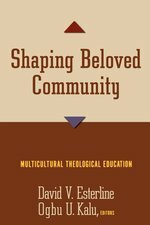 The multiversity in a post-Christian culture is characterized instead by curricular division, the professionalization of the disciplines, the expansion of administration, the loss of community, and the idolization of athletics. The situation is not hopeless. According to Perry L. Glanzer, Nathan F. Alleman, and Todd C. Ream, Christian universities can recover their soul--but to do so will require reimagining excellence in a time of exile, placing the liberating arts before the liberal arts, and focusing on the worship, love, and knowledge of God as central to the university. Restoring the Soul of the University is a pioneering work that charts the history of the university and casts an inspiring vision for the future of higher education. Now you can show youth the power they posses to minister and care for their hurting peers. 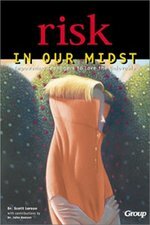 This book is written by Dr. Scott Larson, founder of the Straight Ahead Ministry for at-risk youth. Dr. Larson and his wife have taken many at-risk teenagers into their own home, and Dr. Larson currently leads numerous Bible studies in youth detention and rehabilitation centers. With riveting true accounts and practical tips for training teenagers to reach out, this book will ignite your ministry with Christ's compassion for the spiritually needy. A must-have for anyone interested in loving the unlovable and teaching young people to do the same. Rural youth ministry is an amazing adventure--a truly unique beast, different from serving in the inner city or the heart of suburbia. But even though our culture is becoming increasingly urban and suburban, rural youth ministry isn't going away anytime soon. 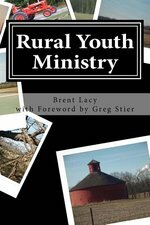 Brent Lacy is no stranger to the realities of rural ministry--the joys, the challenges, the rewards, the heartaches. He grew up in a rural community and serves as the youth pastor at a rural church today. 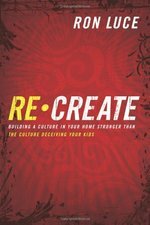 Through the pages of this book, Brent examines keys to thriving in rural youth ministry, strategies for building solid relationships, tips on reaching your local schools, wisdom on surviving church politics, ideas on effectively using technology, and advice on adjusting to a new church or community. Whether you're new to rural youth ministry or your life has been forged in a rural setting, this book will inspire you to hold firm to God's calling. You can be successful in your ministry. You can reach your community in ways you and your church never even thought were possible. The work may be long, hard, and messy, but the rewards are amazing. The Expanded Second Edition also includes updated and additional content. 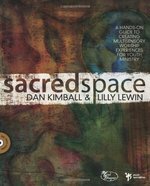 In a culture where teenagers are growing up inundated with images, experiences, and media that moves and changes at the speed of light, it's no wonder many of them learn better when they're doing something--- not only listening to someone talk to them.Sacred Space provides dozens of ideas to help students engage in scripture and apply the lesson to their own lives. Whether you're looking to teach a biblical theme, the life of Christ, or a gospel passage, or even when celebrating holidays, you'll find step-by-step instructions to create the space and experience necessary to draw your students into the story. Through art, listening, writing, and multi-sensory prayer stations, your students will experience God's Word in a whole new way.This is more than a toolbox for your ministry---it's a holistic way to approach teaching and communicating God's Word. Inside you'll find everything you need(except the actual supplies!) to create experiences that can transform the way your students encounter God, and help them engage in and learn from the Bible in more meaningful ways. Includes CD. You teach to make a difference. Now, revitalize your classroom by learning and mastering these seven time-tested principles being taught around the world! Written for teachers, including Sunday school teachers, parents, and professionals, this book outlines scriptural principles and techniques that will revolutionize your ability to teach to change lives. From the "law of the learner" to the "law of equipping," each chapter presents hands-on, practical tools for you to employ in your own classroom. Whether you're a professional teacher, a parent, or teach in any setting, these principles and techniques will empower you to make a lasting impact in people's lives. Thousands of teachers have already used these principles to spur their students to new horizons of success. "For some time I have said to myself, 'Much of what I am doing in the classroom is a waste of time. I can't continue this career unless I can make a more significant contribution in the lives of my students.' The Seven Laws of the Learner was the answer to my need." "For years I filled my students with content. But since learning the seven laws, my life and teaching have not been the same. Now teaching for life change and revival are becoming second nature." Bruce Wilkinson had received thousands of requests for a book about how people learn. Having taught teachers all over the world, he developed the Seven Laws as the basis of his teaching workshops. In 1991 he sat down to put this content into book form. Published originally as a partnership between Multnomah Publishers and Walk Thru the Bible Ministries, this book is a companion to the workbook titled Almost Every Answer for Practically Every Teacher.